Ultimately, those we serve directly decide whether we stay or go from any location. Here you can see what they have to say about New Horizon Foods in their own words. Our chef is fantastic! She always puts an extra pinch or dash of herbs/spices that turns ordinary into extraordinary!! Our food service is excellent, a good variety of selections is offered at each meal and the food quality is always good. All staff is friendly and will do anything to satisfy our needs. 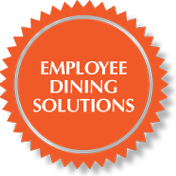 The food service managers do an excellent job of making our dining experience a pleasant one. Attention is paid to dietary problems and remedial upon request. Their staff of pleasant waitresses is well informed and neatly attired. A varied menu of flavorful meals are aesthetically presented and served in a friendly manner. Great food, atmosphere, excellent service, employees that make sure you’re getting a dining experience that is pleasurable. Friends and Family are always welcome!